Come ride through our neighborhood on the 2018 Holiday SL-HAY Ride and enjoy the holiday lights, hot chocolate, hot dogs and s’mores. The Leacroft Event Planning Team will be providing all food and drink items. So there is NO SIGN UP FOR THAT! All you need to bring is YOURSELF and your HOLIDAY SPIRIT! Rides will leave at approximately 6:30, 7:00, 7:30, 8:00 and 8:30 depending on the number of participants. This is a very well attended event so it is VERY important that you RSVP if you are planning on attending. Spots are not guaranteed if you do not RSVP. This is a great time so DON’T miss out!! 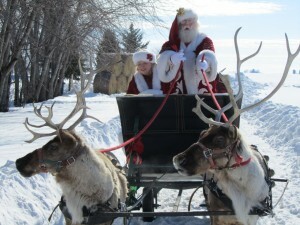 Santa will be on site to talk with kids about their Christmas wishes. We will also have fire pits in the parking lot to roast hot dogs and s’mores while you wait! 2018 Holiday Light Contest — Changes! !